Eternal Grand Master Lee began his martial arts training in 1954 as a teenager. He taught martial arts to Republic of Korea military intelligence personnel from 1956 to 1959, opening his first commercial school in Osan, Korea after leaving the military. 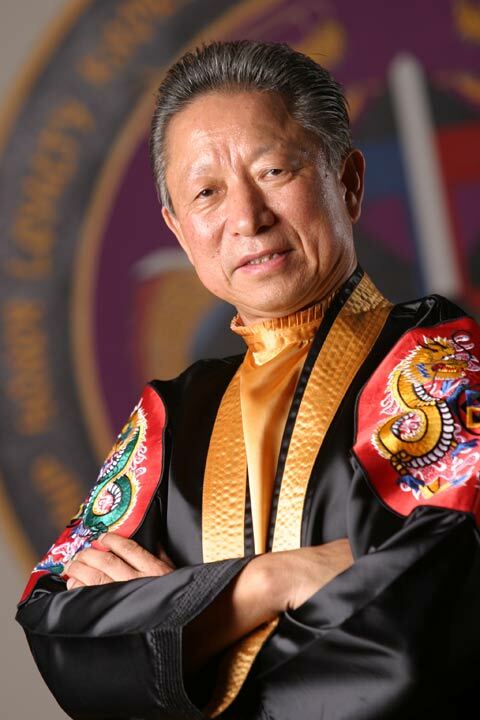 Eternal Grand Master then opened several “branches” to his commercial school, including one at a U.S. Air Force base. This is where Master Richard Reed began training with Eternal Grand Master, and the two forged a friendship that would ultimately result in the ATA. When Reed returned to the United States in 1962, Eternal Grand Master joined him on a “visitor” visa, and began teaching in Omaha. Although he had to return to Korea in December, 1963 while awaiting a “resident” status visa, he returned to the U.S. in 1965 and began working toward a national Taekwondo organization that would be based on good martial arts and sound business practices. As it grew from a regional organization to one of national — and ultimately international — scope, the ATA began to establish standards that would ensure consistent instruction. The ATA held “closed” tournaments — you had to be a member to compete. Instructors had to undergo a rigorous trainee period to become a certified instructor, and the only way to receive certification was to come to Little Rock for a week in August and participate in a Trainee Instructor Camp, complete with physical and written exams. Every student uniform was white (no black, no blue, no stars & stripes), and all lettering, piping and patches (initially just a school patch and the ATA patch) on uniforms were to be consistent across the organization. The ATA also shared marketing acumen with its instructors, helping to build a stronger organization by presenting a consistent, professional program and message to the public. From the beginning, Eternal Grand Master Lee was determined to establish the most professional martial arts organization possible. In 1973, he introduced the first instructor manual, which provided information and procedures to standardize the operation of all ATA schools. In 1976, he hosted the first Grand National tournament, which was the predecessor for the Songahm Taekwondo World Championships now held annually. A year later, he re-located the ATA headquarters from Omaha, Nebraska to Little Rock, Arkansas, where he soon had 200 black belts earning instructor certification each year. In 1980, the ATA became the first martial arts organization to introduce a centralized computer record keeping system. This innovation enabled the ATA to maintain rank histories and other important information about the thousands of ATA members. The same year, the ATA began publishing a tabloid entitled “ATA News” which has evolved into the international magazine The Way of Taekwondo, now published quarterly to keep Songahm Taekwondo students informed about upcoming events, appraised of new programs, and knowledgeable about the physical and mental aspects of Songahm Taekwondo. 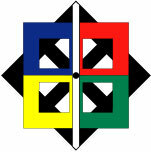 The history of the ATA was set on a new and unique course in 1983 when, at a Certified Instructor Camp in Little Rock, Eternal Grand Master introduced the Songahm system of Taekwondo. The Songahm system represented the culmination of years of study by Eternal Grand Master Lee. The ATA had used the Chang Hun Taekwondo forms since 1969 — and the “Pinan” forms prior to that — but he had noticed something missing in the forms. 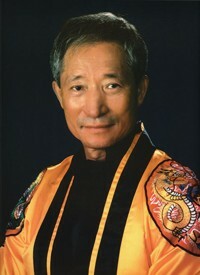 With the assistance of senior instructors including Robert Allemier, Bill Clark, In Ho Lee and Jee Ho Lee, Eternal Grand Master developed a unified teaching system in which, for the first time, White Belts learned kicks in their Taekwondo forms and one-step sparring was closely integrated with the forms to aid in student development by establishing a more logical system for beginners. But even more than that the entire system of Songahm forms worked together with balance and harmony, reflecting the essence of the art. In 1984, the Songahm Taekwondo Federation (STF) was founded by Eternal Grand Master H.U. Lee and Master Cezar Ozuna to help spread Songahm Taekwondo outside of the United States. In the fall of 1990, the World Traditional Taekwondo Union (WTTU) was formed. While the ATA encompasses member schools in the United States and Canada, the STF includes member schools in South America and the WTTU covers the remaining portion of the world. With the passing of Eternal Grand Master H.U. Lee in October 2000, our current leadership has taken up the torch of his inspirational guidance and leadership and ensured the values the ATA were founded upon remain our focus for today and into the future. 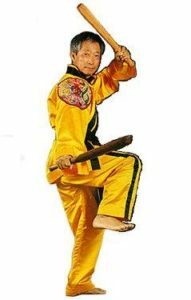 Grand Master Soon Ho Lee, after many trials and tests for the Grand Master title, was elevated to be our leader in Taekwondo and guides and focuses the Songahm Taekwondo style. Mrs. Sun C. Lee, wife of the late Eternal Grand Master H.U. Lee and the ATA’s Chairman of the Board, continues the legacy of her husband by helping the youth of Songahm Taekwondo through her philanthropic efforts and devotion. Our leadership ensures that the ATA will continue to be one of the most innovative, effective, and widespread organizations in martial arts worldwide. From its humble beginnings, today the ATA and its affiliated organizations is beginning to register over 300,000 members worldwide, including 53,000 black belts and 3,000 certified instructors. In many ways, this is still just the beginning. We know the ATA has many wonderful surprises in store for Taekwondo in the United States and across the world. We hope you will journey with us as the ATA, and Songahm Taekwondo, continues to evolve and improve to help our students and masters do the same.